If you’re an SEO copywriter, you might be noticing this new phrase cropping up more and more – Conversion Optimisation. Conversion optimisation is the means by which your website is structured to convert visitors into customers. It’s critical that your navigation and message inspire every site visitor to become a client – all they need is a little guidance. Whilst the main thrust of an online marketing campaign is to inspire traffic to a website through organic search engine optimisation (SEO) and pay per click advertising (PPC), these traffic building strategies are pointless unless the increase in traffic can be turned into conversions. SEO and PPC experts work to define and attract the appropriate audience to your website. Once there, they still need to be convinced that its product or service is the right one for them. Of course defined business objectives, a clear audience analysis and clean site navigation are all crucial. It’s your message, however, and the way in which it’s presented that is of particular importance. 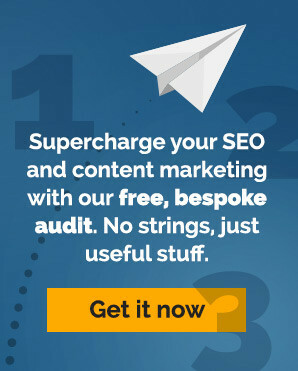 As most SEO copywriters will know, it’s the copywriting on your site – especially on your home and landing pages – that will turn visitors into customers. What are the motivations of your website and your target audience? What is trying to be achieved? Do you want to generate leads, convert visitors into subscribers, gain votes, encourage downloads or sell a product? A professional copywriter can fashion your call to action clearly, concisely and effectively. Using a voice and tone that your audience will respond positively to they will draw attention to the benefits of your products and services, turning visitors into customers. Customer needs are constantly evolving. The copy that worked for your website today might not be working tomorrow and may fail to inspire action in the future. It’s important to monitor pages and adjust or even completely re-write copy where it’s failing to convert. Again, an experienced copywriter will be best placed to deliver the most effective results.